Download our guide to discover your values and what you really want. Last Tuesday afternoon, I had the pleasure of meeting Tess McCabe, founder of Creative Women’s Circle. I’ve been a member of the Circle for a couple of years and was profiled on the blog recently. We sat in her sunny kitchen and chatted over tea and flourless orange cake while Tess’ 18 month-old-son, Miles had his nap. As with so many of the creative women I meet, I could have spent hours longer chatting to Tess. She’s down-to-earth and humble despite having done some amazing things with her business over the past couple of years. And she manages this with only a handful of hours to herself each week to work. On the day we met, Tess had just sent her latest book ‘Conversations with Creative Women: Volume Two’ to press. 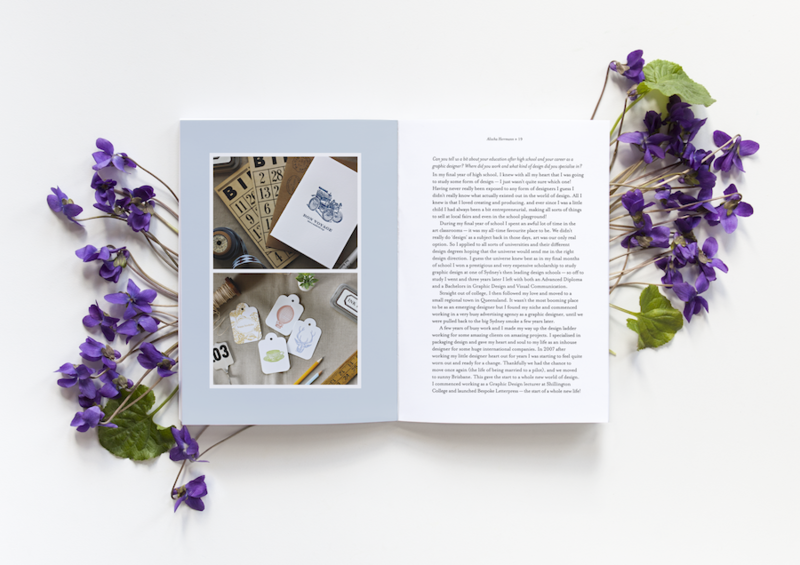 The first edition (which is now sold out in print form but still available as an eBook from the website) is beautiful and filled with stories that any aspiring creative entrepreneur will find interesting. Tess kindly agreed to be interviewed to share a little more of her story. Creative Women’s Circle is a community of women involved in creative industries who share information, inspiration and ideas and support and encourage each other in our creative output. 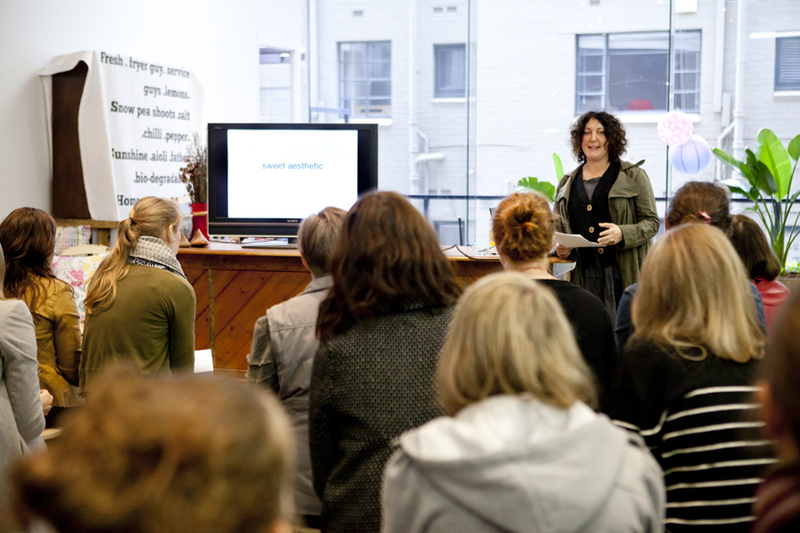 We hold talks with invited guest speakers, publish books, blog on a variety of topics relevant to creative women and creative business and have a searchable online database of women in creative businesses. I coordinate the events, manage membership and publish the books, and have a great team of contributors to the blog. The mission of Creative Women’s Circle is to connect like minded women and support each other in our creative businesses and ventures, and I love that I have gained so much support and met so many fantastic people through it. I certainly don’t have creative business ‘figured out’ and feel like I benefit as much as anyone from the information shared through our events, books, and website. It’s probably kind of selfish, but I actually started coordinating the group because I wanted a community to lean on as a freelance graphic designer working by myself. I feel honoured to be the person still steering this ship. There are many people in my life – friends, family, ladies I’ve met through CWC – who inspire me in the way they run their own businesses or how they view the world. They are always there to offer advice, be a sounding board for my own ideas and challenges, and inspire new ideas within me for my life and work. I am also inspired by people who live their lives with integrity and keen observation. The release of Conversations with Creative Women: Volume Two in November and the other publishing projects I have in the pipeline. It’s so fulfilling to have a product at the end of a long development phase that addresses the needs of a community. I’ve realised it’s become a true passion of mine to delve into publishing projects via CWC and I’m excited for the future. How do you maintain a sense of balance while running your business? I'm Kate James and the owner of Total Balance. I work with people who care about living purposeful, creative lives. My clients want to clarify their personal values, identify their strengths and learn about how they can make a difference in the world in their own unique way. I run workshops and retreats in Melbourne, Bali and Byron Bay to give you the chance to escape the noise of everyday to discover what really matters to you.